- other matters of direct interest to members of the Society. Items/links for submission should be mailed in the first instance to the Secretary or President. It is the responsibility of those who submit information to ensure its accuracy, and their right to make it public in this way; the decision on what to publish on the site, and for how long, will remain in all cases with the Officers of the Society. 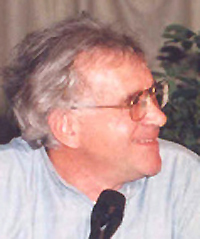 our dear, beloved friend, which organized the 1st RCRF Congress held in Romania in 1994. She left us at Timisoara in 16th of March 2019. 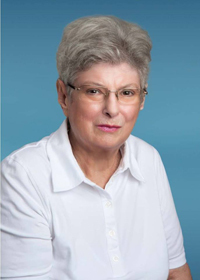 I don't have words to express my grief and sorrow - Professor Doina Benea was for me a mentor, but also a good friend and mother! She had only 74. 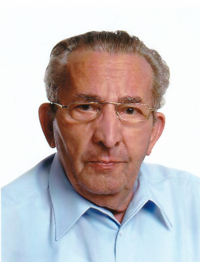 Friedrich-Karl Bittner, who passed away on December 28, 2018 at an age of ninety. R.I.P. From now on the Acta will be produced by ARCHAEOPRESS. The new guidelines for authors are now available. Since the General meeting of the RCRF members at our congress in Cluj we have some changes in the council. For details look to the Impressum. The communicationes 2018 and the bibliography are out and sent as email attachments. If someone hasn't received them they should get in touch with Fautores secretary (secretary@fautores.org). With deep sadness we announce that our colleague and friend Alain Vernhet passed away in August 2018 at the age of 77 years. Some of our members will remember with gratitude his wunderful congress at Millau in 1980. 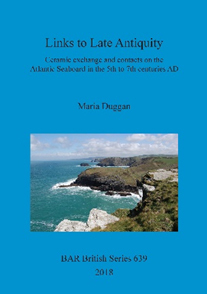 We would like to make our members aware of a recent publication in the BAR Publishing British series,Links to Late Antiquity: Ceramic exchange and contacts on the Atlantic Seaboard in the 5th to 7th centuries AD by Maria Duggan, which we believe may be of interest to you, as it is primarily concerned with ceramics. Please note that there in an offer to RCRF members of 15% discount by using the code at checkout (DUGGAN18) until 31 August 2018. You can order online here or by emailing info@barpublishing.com, or calling us on 01865 310431.
who passed away on May 09, 2018. It is her totally revised new English edition of her famous "Ceramica in Archaeologia". who passed away on October 16, 2017 at an age of eightyfour. R.I.P. in the scanning of the RCRF Acta volumes 1 to 44.
in this very important task. Please fell free to contact him for further information at webmaster@fautores.org. "Big Data on the Roman Table"
groups in the Roman world. complex datasets that constitute Roman foodways material culture. posting copies of the papers on this Forum. project administrator, Dr Sarah Colley (sc532@leicester.ac.uk ). Sarah Colley (sc532@leicester.ac.uk ), as soon as possible. History, University of Leicester "
Various on-line bibliography data fields are searchable, but the bibliography is still a work in progress and additions, amendments and improvements will be carried out. 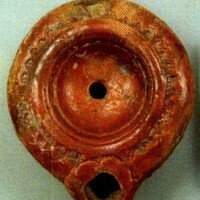 Our colleague Ergun Lafli asks us to disseminate the information about the forthcoming symposium on terracotta lamps. Production, use, typology and distribution. Izmir, Turkey (with an excursion to Samos, Greece on May 18-19). Il polisemico significato della moderna ricerca archeologica. Fervet Opus 4, Presses universitaires de Louvain, Louvain-la-Neuve. edited by Dr Patricia Kögler, Dr Renate Rosenthal-Heginbottom and Prof. Dr Wolf Rudolph (Heads of Editorial Board). xiv+212 pages; illustrated throughout in colour and black & white. Archaeopress. ISBN 2399-1852-1-2016. ISSN 2399-1844 (Print), ISSN 2399-1852 (online). Available in print (£30.00 [plus standard shipping rates]) and Open Access. A. Muller/E. Lafli (eds. ), Figurines de terre cuite en Méditerranée grecque et romaine. Vol 1: Production, diffusion, étude. (Paris/Athens, École française d’Athènes 2016). Pp. 517; ISBN: 978-2-86958-274-3. The vol. II of the same book was already out in 2015 (for its review: A. Queyrel Bottineau, Revue des études anciennes 118/2, 2016. 632-635). Address for orders: École française d’Athènes, 6, Odos Didotou, Kolonaki, GR-10680 Athens. And now we enjoy to announce Margherita Bergamini's last part of Scoppieto! a cura di Margherita Bergamini. Apparato fotografico di Stefano Simoni, disegni di Valentina Dezza e Viviana Grassetti. Edizioni Quasar, Roma 2014. 208 pp. many ill. (bw+c). Editioni Quasar. Roma 2013. 304 pp., many ill., 8 color tables. "A Passion for Roman Pottery"
kiln site in honour of Vivien Swan.